The Equipment Sales Page is active again! Try It! My Equipment Sales button has been "dead" since I've been ill, but I'm getting it going again! Every week there will be a few more pieces of gear (I've got many hundreds) displayed, about as fast as I can photograph them and get them posted. I have that nasty dialysis 3 times/week, that slows me down quite a bit, but I've got to keep trying - It can only get better! One and Three Quarter Million+ Pageviews and counting! Thanks! It's been 13 years since I started this site, and your response has been tremendous! Thanks to all of you who have visited, and I'm very pleased that I have been able to help so many Hams with their Kenwood Hybrids. Please enjoy the 100 or so pages that I have been able to provide . . .
Hello. I'm Ken, K4EAA, and I restore Kenwood Hybrid rigs to their original performance standards. I also make sure that they are cosmetically appealing, and will look great in your shack! I've been licensed since 1963, I hold an Amateur Extra Class license, and have a BSEE in Electrical Engineering. 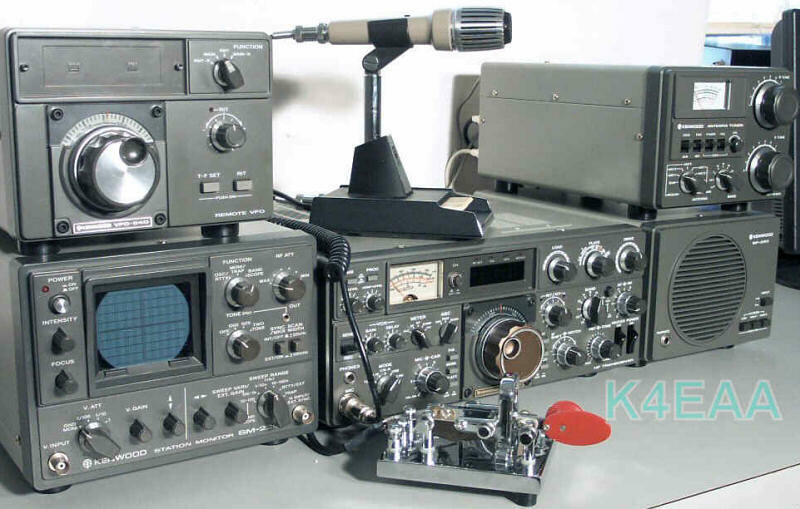 I've been building, repairing, and restoring Ham Radio gear since the 1960's, and know the Kenwood Hybrids especially well. ( . . . like the back of my hand?) I sure have owned enough of them! The picture above is a photo of my primary station. 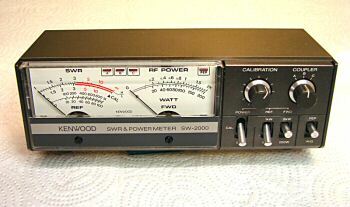 It includes all Kenwood equipment, early 80's or earlier vintage. All of this equipment was lovingly restored by me, and is maintained to the original high Kenwood standards. Look for terms you need help with - i.e., shaft coupler, neutralizing, etc. Windows Text Size Tip: If you wish to quickly resize the text on any of these pages for easier viewing, simply hold the CTRL key down and use the wheel on your mouse to make the text larger or smaller. Try it! All Photos and content copyright 2005-2019 K4EAA, Ken Kemski.